Limit 1 per person and 1 per table. Valid on 2 chicken or steak burrito meals. Each meal includes rice and beans. Both meals must be redeemed in 1 visit. Promotional value expires 365 days after purchase. Refuel with a friend with this deal for 50% off two burrito meals at Pancho’s Catering in Schaumburg ($14 value). 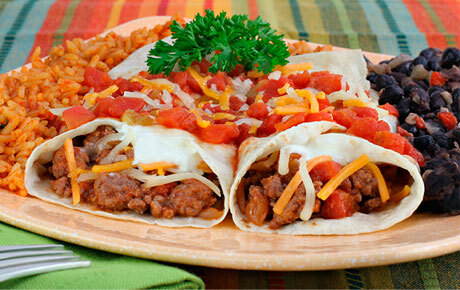 You and a friend can feast on huge chicken or steak burritos, complemented by sides of rice and beans. Owned by a brother and sister duo, Pancho’s Catering has been serving fresh and authentic Mexican dishes for more than six years. They hand-roll their tortillas from scratch, and they only use USDA-Choice meats. Each dish is made with fresh ingredients, assuring your meal is both nutritious and flavorful. Their catering service is a great addition to large and small gatherings, as their variety of selections is sure to please any crowd. Enjoy a satisfying meal with this tasty deal.